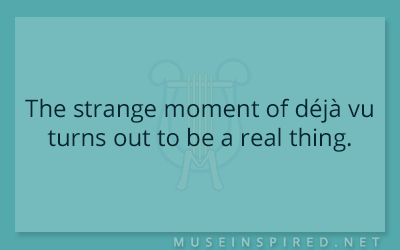 What’s the Story – The strange moment of déjà vu turns out to be a real thing. What's the Story - Everyone in the college dorm is having the same nightmare. What's the Story - "They played Mozart on guitars and snakes were hanging from the chandeliers!"